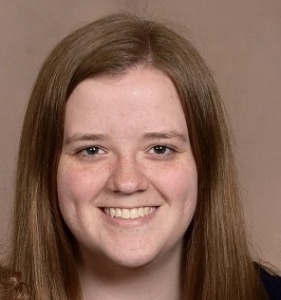 Micaela Andrews is the Liturgy Assistant at St. Pius X. She has been a lifelong member of the parish and grew up in the Catholic school system attending St. Pius X Elementary School, Regis Middle School, and Xavier High School (class of 2013). Micaela graduated from the University of St. Thomas in St. Paul, Minnesota with degrees in Liturgical Music and Theology. As Liturgy Assistant, she is responsible for scheduling and coordinating ministers for all the weekend and holy day liturgies. She also works with all the ministers of the parish and helps behind the scenes to help make the liturgies happen.